For more than 90 years, Nestlé Purina has proudly supported veterans by partnering with organizations who assist them during their transition back into civilian life. 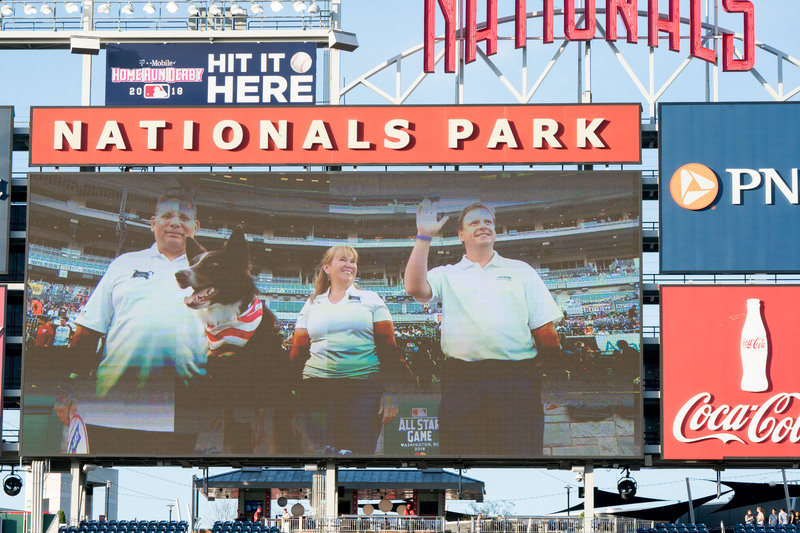 On Thursday June 14, Purina honored all veterans with a service dog salute featuring three associates who served in the U.S. Military at the 57th Congressional Baseball Game in Washington, DC. In the middle of the 1st inning, James “Sonny” Rivera, Senior Coordinator at the Fort Dodge, Iowa Plant, Karen Bolhuis, Manager Associate Wellness Center in St. Louis, and Brian Lester, Director of Marketing in St. Louis, took to the field to represent the many veterans who work for Purina. They were also joined by Quigley, the “saluting” dog, for a tribute to the U.S. military. 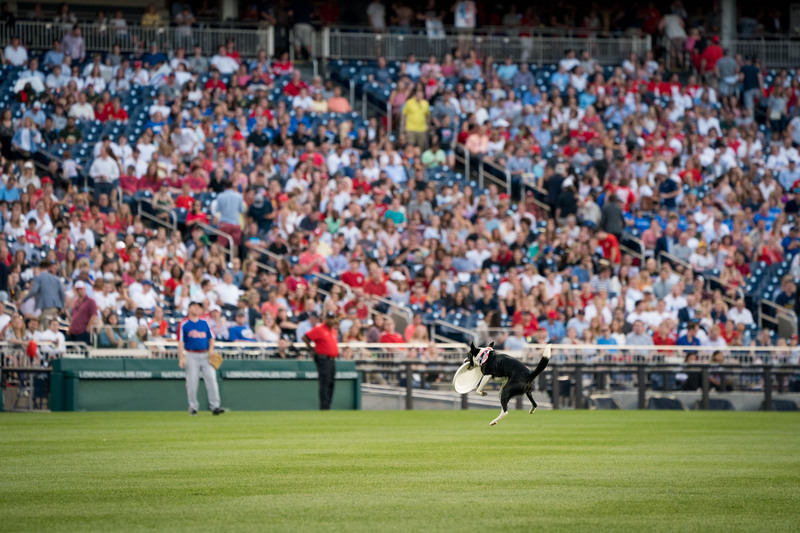 During the game, Purina made a second appearance with the Incredible Dog Team for a performance. 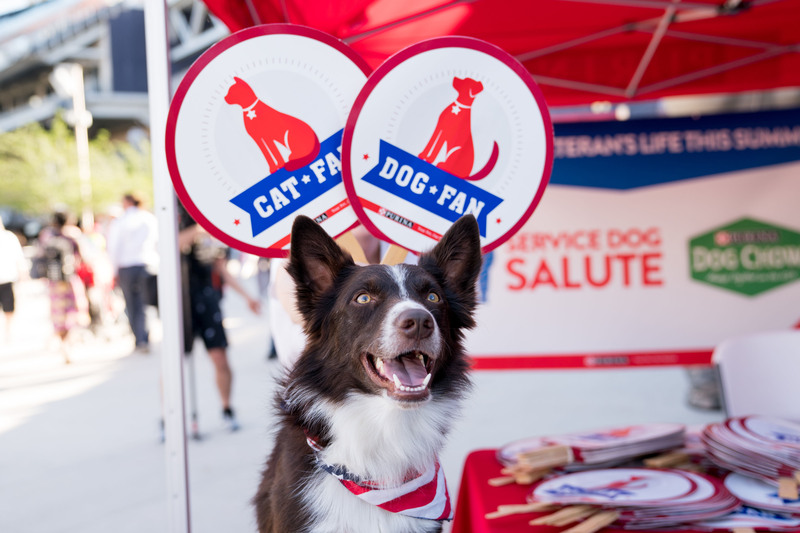 As part of Purina’s commitment to veterans and organizations that support them, the Purina Dog Chow® brand is launching Dog Chow Service Dog Salute®, which is in partnership with the Animal Rescue Foundation (ARF). The campaign, which officially begins on Independence Day (July 4) and lasts through Veterans Day (Nov. 11), will donate up to $500,000 through sales of specially marked bags of Purina Dog Chow Complete Adult Formula with Chicken and sharing videos from Veterans telling stories of how they have benefitted from support dogs. ARF’s mission to match veterans with rescue dogs mirrors Purina’s belief that people and pets are better together. “We are excited to share our passion for pets with our stakeholders in Washington, D.C. We also are proud to increase our support of veterans through the new Dog Chow campaign and recognize them for their service through last night’s salute,” said Bill Salzman, Vice President of Government Relations at Purina. 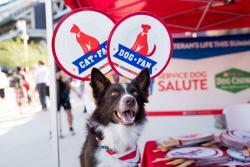 Purina’s involvement in the Congressional Baseball Game is one example of the Company’s initiative to support Veterans. In 2018, Purina implemented the P.O.S.T. (Partners of Separated and Transitioning) service members program, a partnership for new hires to ensure ease of transition into a civilian career. Additionally, Purina is assisting Duo Dogs in the building of its new 18,000+ square foot multipurpose facility which will better meet the needs of the organization who strives in bringing dignity, hope and independence to disabled individuals by pairing them with therapy dogs. To learn more about the Congressional Baseball Game, please visit www.congressionalbaseball.org. Nestlé Purina PetCare Company is a global leader in the pet care industry. Nestlé Purina PetCare promotes responsible pet care, community involvement and the postitive bond between people and their pets. A premiere global manufacturer of pet products, Nestlé Purina PetCare is part of Swiss-based Nestlé S.A., a global leader in nutrition, health and wellness.